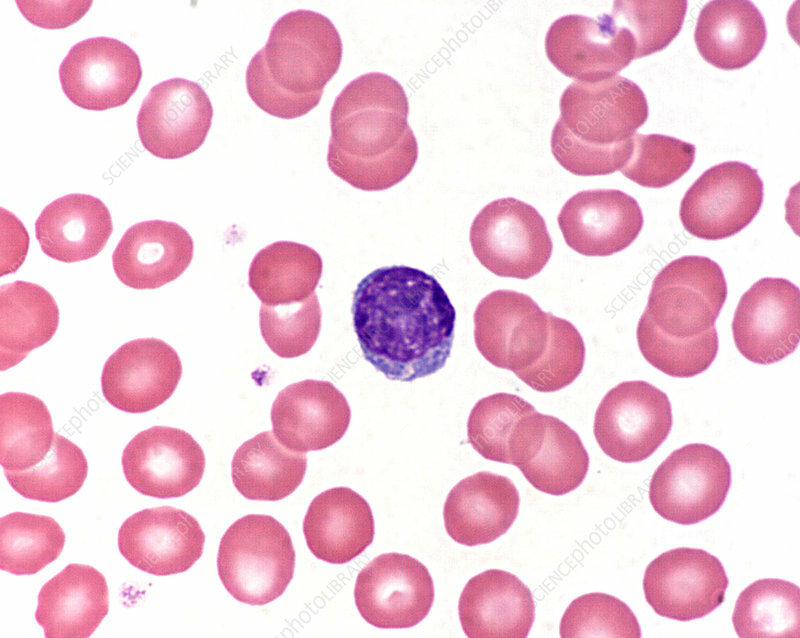 Circulating lymphocytes (white blood cells or mononuclear leukocytes) are variable in size. Depending on their size, they are characterized as being either small, medium or large. The majority of lymphocytes circulating in the blood stream are small or medium sized. This is a medium size lymphocyte. It measures approximately 12 micrometers in diameter. The nucleus of a medium size lymphocyte is notably larger than that of a small lymphocyte and displays a variable amount of cytoplasm. The cytoplasm occasionally reveals a few very fine granules. Wrights stain.